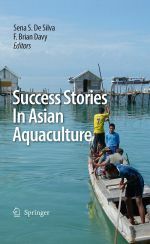 The stories presented in Success Stories in Asian Aquaculture reflect the unique nature of Asian aquaculture, providing first-time insight into how and why it has become so successful. Overall, the book demonstrates how the resiliency, adaptability, and innovation of small-scale aquaculture farmers have been crucial to this success. 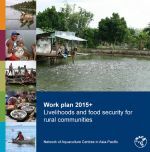 It is unique in demonstrating how aquaculture can have a lasting positive impact on livelihoods, food security, and sustainable development. 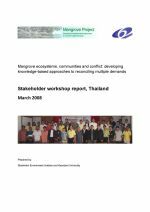 In this report, we summarise the outcome of the first MANGROVE Project stakeholder workshop in Nakhon Si Thammarat in the Gulf of Thailand. The objectives of the workshop, held 6 March 2008, were to review and discuss project problem definition from different stakeholder perspectives, to understand how different stakeholders are affected in different ways, and to understand what kind of solutions are presented and by whom? The workshop was attended by community, local government and NGOs. 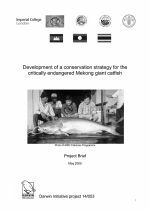 This is a brief of a project to develop an overarching conservation strategy for the Mekong giant catfish integrating supportive breeding with harvest and habitat management. 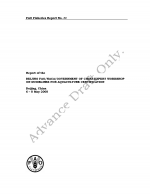 This will involve (1) quantitative assessment of population status based on existing information, (2) quantitative assessment of the likely effectiveness of different conservation measures (3) review and improvement of captive breeding procedures; (4) promotion of appropriate adaptive policies for the further development of the strategy; and (5) definition of an overall conservation strategy. 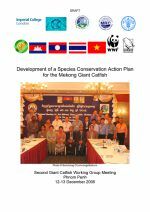 This is the report of the Second Mekong Giant Catfish Working Group Meeting, held in Phnom Penh 12-13 November 2005, under the project Development of a conservation strategy for the critically endangered Mekong giant catfish. 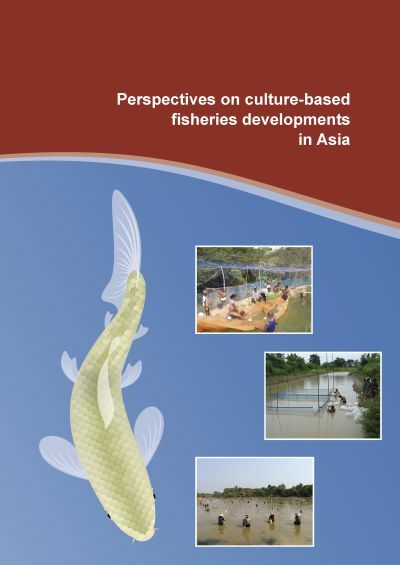 The purpose of the workshop was to review existing knowledge on Mekong giant catfish, identify future conservation and research priority activities, and to continue the joint planning process aimed at developing an overarching conservation strategy. 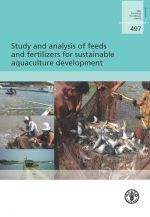 This compendium provides an overview of feed and fertiliser use for sustainable aquaculture development in developing countries. 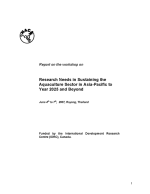 It comprises of a series of review papers from Asian and African countries, three regional reviews, a case study from Asia, a global synthesis and the report of an FAO Expert Workshop on "Use of feeds and fertilisers for sustainable aquaculture development", held in Wuxi, Jiangsu Province, China, on 18-21 March 2006. 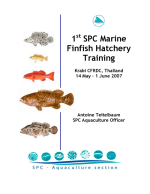 This report describes a training course on marine finfish hatchery protocols, which was convened at the Karabi Coastal Fisheries Research and Development Center, Thailand at the request of the Secretariat of the Pacific Community. The main goal of the training was to carry out hands-on practical work in finfish hatchery techniques, with an emphasis on grouper. This work involved spawning induction, incubation and larval rearing until day 12. The workshop was the second in a series of expert meetings to assist the development of guidelines for aquaculture certification. The workshop gave stakeholders in the Americas a unique opportunity to get together with international stakeholders to discuss certification and in particular the development of the draft FAO/NACA guidelines for aquaculture certification. The workshop identified a strong need for an aquaculture certification guideline document to inform and guide stakeholders towards responsible and sustainable aquaculture. 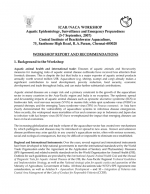 This is the report of a five-day training workshop was to build capacity and awareness of relevant stakeholders in the areas of aquatic epidemiology, risk analysis, surveillance and emergency preparedness. 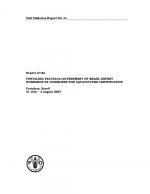 The long term objective was to support implementation of national strategies for better aquatic animal health management with a focus on improved surveillance, reporting, early response, emergency preparedness, risk analysis, certification and quarantine.